With over 74% of American adults reported as users of the internet, according to Pew Internet and American Life Project, the “power of the web” in connecting those with a special interest in history is a critical step in collecting and preserving Colorado Airport Heritage. This links you to the Denver Public Library Western History Photo Collection. When the web site loads up in the “Search For” box type "Airport". Pages of historic Colorado airport photos will come up. Aspen, Centennial, DIA/Denver, Durango, Lowry (now closed), Pueblo, Stapleton (now closed) and many historic photos related to Colorado aviation. The FAA role in location identifiers is set forth in Order JO 7350.8K. Abandoned & Little-Known Airfields created by Paul Freeman www.airfields-freeman.com covers all States and is updated often. 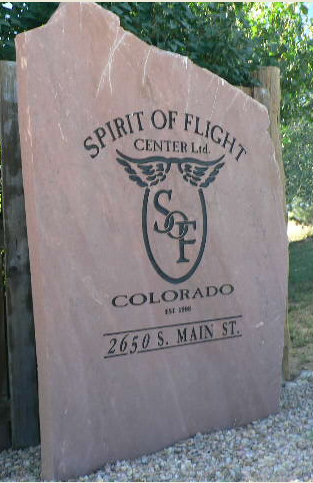 Scroll down to the Colorado button to read about our lost aviation history. Paul also has links at the bottom of this site to other important sites. Recommended by Rob Duncan of AirBase1 and, also, Marilyn Chang, volunteer librarian/archivist at the Wings Over the Rockies museum. 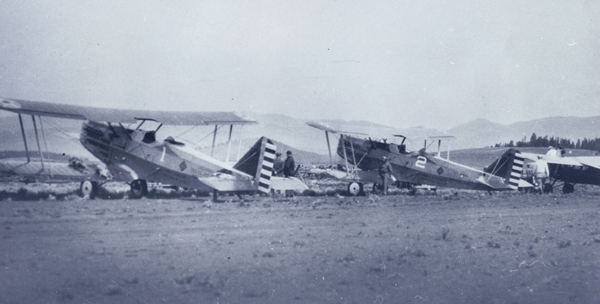 David W. Brooks has published historical information on Colorado airports. Visit http://www.airfieldsdatabase.com/CO/Colorado.htm to learn more from this important research. Colorado Aviation Historical Society Aviation Archaeology Program-AV AR volunteer, Brian Richardson, shared this very important information. www.coloradopilots.org is Colorado Pilots Association (CPA) web site which has forum links, Flightlines (newsletter) back to 2005 in archive, events and membership information. www.coloradoairports.org is the Colorado Airport Operators Association (CAOA) web site with membership, calendar of events & conference and important web links. www.colorado-aeronautics.org Colorado Division of Aeronautics site is loaded with information including the Colorado Aeronautical Chart and Airport Directory, grant information and State Airport Systems plan. www.Lafayettefoundation.org has information about the Vintage Aero Flying Museum, some news on Platte Valley Airport and some historic information/articles. www.coloradohistory.org is the Colorado Historical Society site on many historic topics. www.lib.colostate.edu/research/history/colohist.html is the Colorado State University Libraries research web site with links to important research resources as the Colorado State Archives and digital Colorado Historic Newspapers. www.aero-web.org/museums/co.htm Visitor ratings, information and museums holdings of each of Colorado’s aviation museums. www.wingsmuseum.org Wings Over the Rockies Air & Space Museum with descriptions and photos of museum services and educational programs. Extensive Historic and Research library at the museum available by pre-arranged appointment. www.petemuseum.org Peterson Air & Space Museum Foundation. Located at Peterson AFB in Colorado Springs with pages of super WWII aircraft photos and descriptions of museum and aircraft on display. www.pwam.org Pueblo Weisbrod Aircraft Museum with video tour and extensive historic aircraft information and photos. www.spiritofflight.com Spirit of Flight Museum in Erie holds hundreds of rare aviation artifacts. The mission is to save and display aircraft and flight memorabilia to honor all veterans and to educate the general public on the significance of aviation and aviation history. www.flickr.com/photos/sdasmarchives Awesome historic aviation photos from The San Diego Air and Space Museum archives. Over 100,000 aviation-related photos from Ryan Aeronautics, Charles Babb Special Collection, Pacific Southwest Airlines, the Fying Tigers and many other iconic historic aviation pioneers, including Charles and Anne Lindbergh and Amelia Earhart. http://www.youtube.com/watch?v=8oAzdbd0J2A This interesting historic aviation was submitted by volunteer, Marilyn Chang. Fascinating documentary of 1920s filming of a mid-air airplane repair. Back in the 'hay day' of barnstorming in the 20's, there was a gal by the name of Gladys Ingles, who was a member of a performing troupe called the '13 Black Cats'. Ingles was a fearless wing walker; in this film, she shows her fearlessness in classic barnstorming fashion, to save an airplane that has lost one of its wheels. Ingles is shown with a replacement wheel being strapped to her back and then off she goes accompanied by the music of the time, "Up She Goes." In the video, Ingles transfers herself from the rescue plane to the one sans main gear tire. She then expertly works her way down to the undercarriage only a few feet from a spinning prop. It's certainly a feat many mechanics wouldn't even try on the ground with the engine running, let alone in the air with planes bobbing, weaving & bouncing around. www.airnav.com Easy to use and informative web site on Airport operations, management, services, communications and businesses located near the airport. Web site shared and used by Colorado Airport History Preservation Project volunteer, Leonard B. Wallace. www.iwasm.org International Women's Air & Space Museum (IWASM)-mission is to preserve the history of women in aviation and space by documenting their past, present and future contributions. In addition to preserving the history of women in aviation, the museum in Cleveland, Ohio, provided a wide variety of educational programs. http://www.wingsoverkansas.com/history/list.asp Wings Over Kansas extensive listing of Aviation History articles of national, regional and Kansas aviation interest. This entire site has over 1,200 pages of information and resources to include vintage and historic aircraft photographs and facts. Commemorative Air Force Rocky Mountain Wing www.RockyMountainWingCAF.org museum and important website. The mission is to homor American military aviation through flight, exhibition, and remembrance.